sorry for late notice. Today session has been moved to Warner field. it will also end at 5.15. Sunday's home opener will begin at 12:45 instead of 12:30. Disregard the typo of "12:34" in the updated game comments. Today's practice is at Lieder. Not Oakwood. Oakwood is closed again tomorrow and Flemington's fields are closed as well. I will try to reschedule this game but we already have two games next weekend and all games must be played by next weekend, so it doesn't look good. We are scheduled to play in Flemington tomorrow morning. They have just informed me that their fields are closed. I know this is a long shot, but I have asked our Game Scheduler if there is a chance that Oakwood will be playable tomorrow and if so, if we can get a time slot and refs. Stay tuned. It's definitely a long shot but Flemington has offered to come here so it's worth the shot. Oakwood is closed. Therefore no game tomorrow. Looking to see if we can play Monmouth next Saturday instead. We have a game against North Brunswick next Sunday. Let me know if you will be out of town and won't be able to play. 1) Tomorrow's game against North Brunswick has been cancelled. I will circulate the rescheduled date and time once I hear from the club. 2) We will have a coach practice tomorrow, Sunday, October 28 on Oakwood Field from 12:00-1:30. PLEASE NOTE: The parking lot is being paved. Therefore, your son must enter the field via Park Place. Not Roessner. Drop offs only; no parking. 3) Wednesday's UK Elite practice has been cancelled. Yay! Kids will be Trick-or-Treating anyway so this cancellation was the right thing to do. Hope you're all enjoying your rainy Saturday! 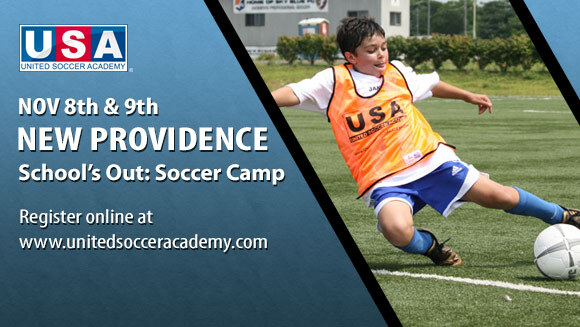 Hopefully you all received the club's email about Saturday's New Providence Soccer Day to be held at Lieder Field. This free event starts at 10:00am - which conflicts with our practice - so we thought the boys might be interested in attending the noon clinic with the high school players and coaches after practice is finished. This is by no means mandatory but the club is hoping to see a nice turnout. Can I have a show of hands as to who is considering attending? If you are planning to attend, please consider bringing new or gently used soccer equipment for teens4refugees. As we all adjust to the Team Connect app, I wanted to let you know that there is a new way to confirm game and practice attendance. If anyone needs help accessing the app, let me know. This Sunday, we have a 4:30 home game versus Hunterdon. Looking forward to it! It's one of those weeks when my older son's game doesn't conflict. For those able to attend tomorrow please try to be there between 10.15 and 10.30. For those who haven't responded come if you are able. Please let us know your availability for a scrimmage tomorrow morning at Oakwood at 10.30am. Please reply as soon as possible to craigh434@gmail.com and lazzarilm@msn.com. Monmouth County, our opponents this weekend, are participating in a tournament and are therefore unavailable to play in our regular season game. I'm working to reschedule for a Saturday in October. It will likely be a 6pm game. Not ideal, but Oakwood is used for practices all day on Saturdays, and the two grass fields (Lincoln and Hillview) have not been lined yet. Will see what we can come up with. Stay tuned. Practice is still scheduled for Saturday. Tomorrow's practice has moved to Oakwood Field and will be held from 1:30-3:00. We are currently scheduled to play in Monmouth on Saturday, November 10 at 2:30. Yes, Saturday. Monmouth requested that instead of Sunday. But if two or more players won't be able to play that weekend, I will ask to reschedule. Otherwise we won't have subs. Please let me know by tomorrow. Good morning everyone. Picture Day for the club will be Saturday, September 29th at Hillview Field. Our time slot is 10:00. Please arrive at Hillview at 9:50AM in full uniform. Players can change into practice clothes after pictures have been taken. For those of you new to Fire, welcome! My name is Kate Morrison. I am the Team Manager and Ian Holland's mom. I received our home schedule last night and will be adding it to the calendar. I'll add the away games as I receive information from our opponents. I'm still getting used to the new site, so bear with me. Our first home game will be next Sunday, September 16, at noon versus Bloomfield. All home games will be played on Oakwood. Practice and UK Elite Schedule: First practice will be this Saturday Sept.1. Season Begins September 16th, Once I have the schedule it will be posted on Calendar. Tournament information has not been provided yet once I have the details I will email the team. Tournament Date September 8 - September 9.